TOYOTA IS RECALLING CERTAIN MODEL YEAR 2010 COROLLA VEHICLES FOR FAILING TO COMPLY WITH THE REQUIREMENTS OF FEDERAL MOTOR VEHICLE SAFETY STANDARD NO. 208, "OCCUPANT CRASH PROTECTION." THE AIR BAG LABEL INSTALLED ON THE DRIVER SIDE SUN VISOR CAN SEPARATE FROM THE SURFACE OF THE VISOR. DO NOT GO TO THIS ESTABLISHMENT, AGAIN PLEASE DO NOT GO TO THIS ESTABLISHMENT. They used some of the most disgusting sales tactics I have ever seen at any sales establishment. My wife repeatedly told them she wanted me there and they kept getting more people involved trying to scare her not to leave with out the car. I told them over the phone she was there just to test drive the vehicle so I could come over the weekend and go over everything with them and my wife, and they still made sure to close the deal. So even after purchase we talked to toyota financial and they informed us we could get out of the deal as the paper work was never sent in, so after calling them and telling them we would like to return the car and test drive a few other cars they hung up on us for over an hour (sales manager, different sales people, and financial manager) all of a sudden we get emails and text congratulating us on the sale. All of a sudden the phone rings and they inform us we were unable to return it now. Like who plays games like that. What a terrible place that left my wife completely in tears. Please go to grappone in Bow they are so friendly and have been there for a few purchases and was never pressured into anything. Car is solid, nice new feel even though I bought it when it was 5 years old. My daily driver is a 2001 corolla. The worst part about this one is the blind spots. Ride is smooth and it's reliable. Gets me where I need to go (mostly longer trips). A couple of fuses randomly pooped out, cig lighter and radio wouldn't work. The provided manual showed me which fuses to replace and it's back up and running. The engine feels solid and smooth. Transmission shifts properly. I like that the car tells you the outside temp and gas mileage, etc. It has wonderful storage capabilities, little pockets here and there, a huge upgrade from my 01' corolla. Overall a good car if you get it for the right price, great on gas mileage. AC blows icy cold and heat works great as well. Bought it at 109000, now at about 118000.
fine little car - little maintenance, gets me where I want to go. This car is completely reliable, good looking, and gets great gas mileage. 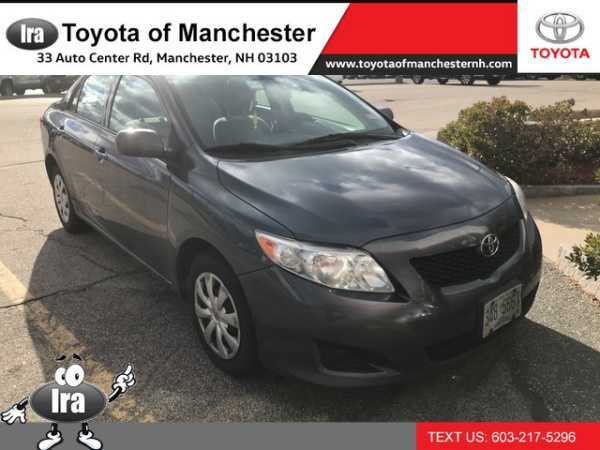 Got pretty good deal on 2010 LE Toyota Corolla. Paid few hundred dollars less than average cost. Decent miles for a 2010 (75,000 miles). No significant bells and whistles, so pretty basic. Previous owners spilled bucket of pickle juice on back seat, so a repeated ordeal trying to remove smell, but just bad luck. Overall pleased. I don't know what these people are talking about. 80k on my 2010s. 30mpg on the streets. Close to 40 on the hiway. Not one problem since purchased. There is no secret what the Corolla is and always has been about: reliability and value. I purchased my 2010 Corolla new and have put 60,000 miles on it. Only non-maintenance issues so far have been a faulty gas cap (on warranty) and a plastic manifold guard that needed re-fastening ($1.75 for zip ties). The original brakes are still going strong, the tires will need replacing soon, but have lasted for 60k. The car is smooth-running, never rough idles and has produced fantastic gas mileage: 36-38 highway & 26-28 city. 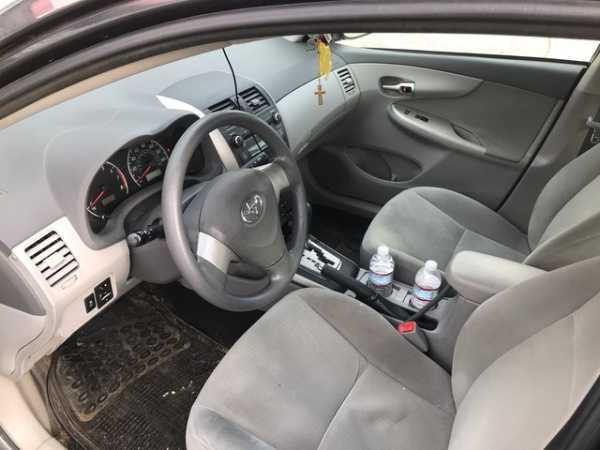 The interior, as with most Toyotas, is quite bland but functional. The materials are not cheap feeling as in other cheaper economical cars. The only cons about the Corolla are the acceleration, the road noise, and the paint. The car will cruise easily at 80 or 85 mph, but it takes a LONG time to get there. Acceleration is about what you would expect from a naturally-aspirated 1.8L 4-cylinder. As with most cars at this price-point, road noise is very noticeable above 60 mph, but livable. The road noise comes entirely from the poor isolation and not from the tires. The only issue I did not expect when purchasing this car is the quality of the paint. It chips quite easily and the clear coat has begun to erode on the trunk. Granted my Corolla has never experienced a garage, so your experience may vary. Overall this is a fantastic car that has lived up to and exceeded my high expectations. I definitely recommend purchasing one if you need a reliable, safe form of basic transportation. Had to have the water pump replaced at 70K miles. Disappointing! This has been an overall excellent vehicle. I bought the car new and have put 46,000 miles on it with not a single hiccup. I've never had any issues with rattling or road noise or even recalls and other strange mishaps as others have mentioned. Although this vehicle has been properly maintained by me and not the dealer. My original breaks even still have life left to them and tire wear is uniform. I'm 5'11" and it fits me perfectly, although my only complaint is that the seats are horribly uncomfortable and collect so much static and lint that I gave up trying to keep up. Although fabric softener helps with the static. I have a 2010 Corolla LE. The entire dash, the doors and the back rattle BADLY. If I go over a bump in the road, it sounds like the car is literally going to fall apart. We have had to have the rotors replaced or turned about six times now. This car barely has 60k miles on it! I have a 2001 Ford (with 160k miles) and I have replaced the rotors ONCE. We are also about to put on the third set of tires. Each time I go to the dealership, there is yet another recall. The interior design on this car is horrible, and don't even get me started on the seat fabric! There is four year old lint on my seats that I have given up on. Save yourself the hassle, and don't buy this piece of junk! Love my Corolla S! So Cute and Fuel Efficient! Love my Sleek and Sporty Corolla S! Being that this is my first car, I don't have much experience on owing other cars, but I can tell you that I truly love this sporty Corolla S! The exterior looks sharp with the alloy wheels, fog lights, spoiler; it completes the package! The black cloth interior with the super bright and sporty gauges are awesome! The black interior is much better then the tan LE cloth. The only thing I don't really like is where the digital clock is located. It really makes you take your eyes off the road. The engine has enough pep to get you moving; not crazy fast nor super slow. I have also been averaging 35mpg! Can't beat that! I would reccomend this vehicle to anyone! A great and reliable Toyota! I am going to give a completely honest and unbiased review since I have never owned a Toyota before. So I drive 15 mins on the highway to get to work. I wanted something that is reliable, fuel efficent, fun to drive, and still looks good. I love my Corolla. When I drove it off the lot, I was feeling like I made the wrong decision, but as I kept driving it, I fell in looove :] I have a 2006 BMW M3 Convertible as a summer car and it is very easy to go from that to this corolla. No problem. The fuel economy is awesome. 40 bucks to fill and I get 500-570 KM's on a tank that lasts 10-12 days. And the seats are comfortable for me. But yeah i have quite a few paint chips but oh well. It's plastic. The Spartan of the economy cars. This is not a sports car, nor is it a luxury car. It's a compact car that happens to be fun to drive and efficent. If your buying this car to race it your buying the wrong car. If your expecting this to ride like a caddy, your likely to be disappointed. If your buying the car to commute to work, and pickup the groceries this is a great car. It is predictable, it manuevers well, it is easy on gas, and it isn't likely to break down. This car will doesn't depreciate as quickly as the rest of the competition. It's not as flashy as some of the others either. The corolla is a spartan car. It does the job well, my last corolla had 340K and still didn't miss a beat. Got this as a hand me down three weeks ago with 32,000 miles. Ride is terrible. I feel every pebble in the road. Traction control stunts hard/quick acceleration at all speeds. Steering wonders at high speed. Cheap interior quality, the plastics rattle. Wind noise is bad. Cheap feel overall. Dealer has to do certain customizable feature for you. My 2005 Civic with 183,000 miles was better in every way. Including MPG. (Note: I never changed the shocks and only did routine maintenance on it) And this car does not have as much room as the Civic. Civic all the way. I purchased a 2010 new model less that 2 years ago. Now at only 32,200 miles the brakes are gone on my car. When I called the dealership I was was informed that some New vehicles are being sold with brake live span of 15,000. This is seriously the reason Toyota is having horrid experiences with this vehicles and after the recall incident you would think that they would sell more "reliable" parts on their vehicles. 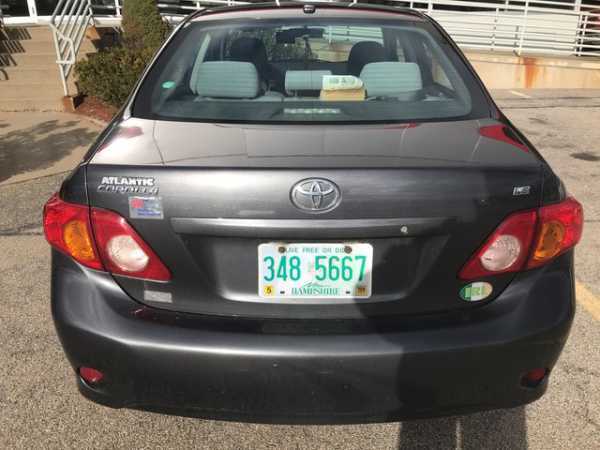 I am so mad that I have dish out $$ on a 32,2000 mile car, that I will be seeking to trade this vehicle, recommend to ALL those who listen to NEVER purchase a Toyota vehicle. I regret ever purchasing a Toyota and will NEVER purchase another. CHEAP TO BUY, AND CHEAPLY BUILT TOO! 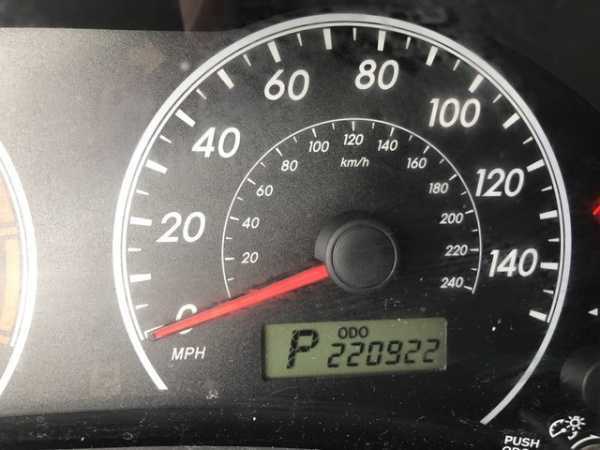 In April 2012, I bought a 2010 Corolla LE with 7018 miles, from a Honda dealer, for $13,685. I bought it because of the advertised great fuel milage, and for the 8 total air bags ( small car safety ). The car is a good vehicle for low speed local travel, but highway noise above 55mph is excessive! I simply would not buy a Corolla again because of the excessive road noise. This is obviously a cheap car, but the all plastic interior is disgustingly cheap. I suppose I got what I paid for, but I now do NOT plan to keep this car. Interestingly, someone else traded it in at the Honda dealership where I bought it. WHY ?? I am now planning to trade it also! I made a mistake buying a 2010 Corolla LE! I traded in my 2001 Nissan Xterra for a 2010 Toyota Corolla for $13.2 with 39k miles two weeks ago. I wasn't too excited about it at first as I love trucks, but going from filling up every four days to once a week, I cant beat that! I am averaging about 32 mpg with 90% freeway driving. The digital dash options to view avg mpg, temp, time, and current mpg is nice. A/C blows excellent which is a must in this Arizona heat. Radio sound is nice. Motor runs strong for this little four banger. Interior looks and feels cheap, but I can sacrifice that for a more dependable engine any day of the week! We will be taking it for our first road trip this Memorial Day, should be fun and nice drive. So I wrote a review two years ago right when I bought the 2010 Corolla. A lot has changed and only for the worse. When I'm on the highway it sounds like there is something retelling around the roof, and I'm getting the feeling like the roof will fall off, it happens more on a windy day, also the car is starting to jerk when I'm in drive at 40mph trying to go faster. The car also has a problem with pick up when I want to accelerate and switch lanes. Over all I'm getting scared of driving this car, and I'm thinking of trading it in, not for another Toyota, I believer they are getting to expensive and the quality is going down hill. The dealer always has excuses on not looking in to this mater. 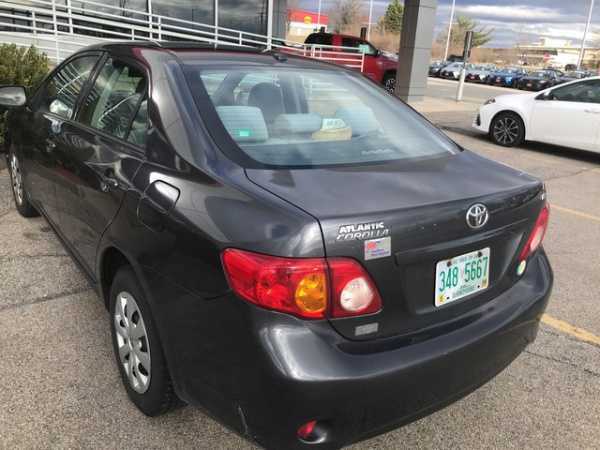 I bought a 2010 Corolla with 9500 miles on it for $15k last summer. It's been a horrible experience. On the drive home a rattle appeared above the driver's side window. I had to take the car down to the dealership once every week regarding the rattle, and they alternated between "It's fixed" to "We can't hear anything." Finally after 2 months they finally found the side air bag was messed up. I have numerous rattles in the headliner, still. The car is eating up tires, as well. Might be suspension issues, but I'm sick of dealing with the dealership. Hoping to trade it in for a new Civic, soon. Will never buy Toyota again. And on top of all of this, the interior materials are horrible! I've had Corolla 2010 S model since 03/2011. Bought it brand new. After a year, I may have ran over the pot holes but that affected the rear bumper. During freeway trip, the two sides of rear bumpers opened up like two wings!!! It was so dangerous. I finally bang on those and got them to snap in place like legos, very flimpsy. When I took my car the the dealer folloowing day, they said it's not warrantied because running over pot holes shifted the rear bumper (lego out of place). My Godh!! This is car and it should be nuts and bolt in place not plastic snap in place like LEGOS!!! It's not safe to be riding on these corollas. 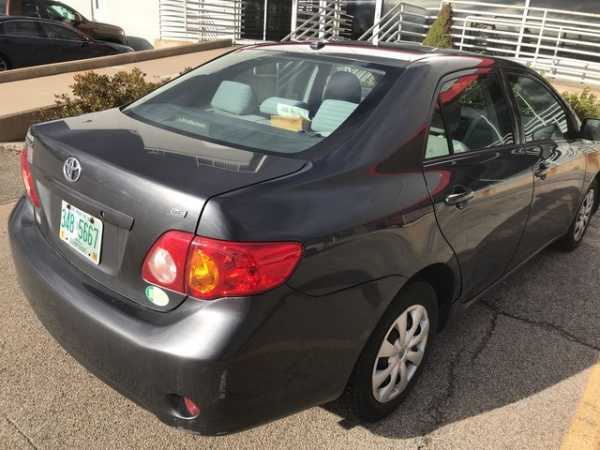 Prior to 2008 corollas are good but the later models are cheap!!! This car maintains great 30+ MPG even with a full load of groceries, kids and a dog (don't ask how we do do it). Oil changes are the only maintenance we have done to it since we bought in 2010. Very reliable. I bought my Corolla back in October. I've had 30+ mpg since I bought it, which makes me really happy. Now that it's been warming up I've been getting an average of 32.8mpg. I'm happy with that. I actually test drove quite a few cars, and kinda was always telling myself my next car would be a Hyundai Elantra. I actually really liked the feel of this car when I drove it, so I bought this car. I was reading the consumer reviews of the new 2012 Elantra and real life mpg isn't any better than my car. Got tired of $75 fill ups and bad mpg's from my pick up so I traded it in on my 2010 Corolla. Love the $30 fill up and 35 mpg. The car is very easy to live with and very simple to use. I reliezed this the second day I had it when I jumped in, cranked it up and was flipping through the radio all without even thinking about what I was doing. Normally it takes a few days to get use to a new car but not this one. Its comfortable, quiet and very realiable. Its no sports car or powerhouse but then again, if thats what I wanted then I would have bought one. I have it since 2010. I'm driving 80% - 90% on highway, around 70mph, usually full load, 4 persons. Now, it shows only 30mpg when I add gas. I've been watching in different weather, hot/warm/cool, it is around there. The meter in the car stills shows 36mpg which I don't understand. Can someone tell me why? how to improve it? I have been very pleased so far. Reliable transportation and averaging 37 mpgs! Wish I could have afforded a camry, though. I've had my 2010 Corolla S for a while now. I'm happy that it's getting around 30.5mpg in the city driving, I dont drive much on the highway. The wind noise is pretty quiet.. Things I don't like: It has a 4 speed automatic transmission, why isn't this a 5 speed or 6 speed? Come on Toyota... Loud road noise on concrete highways. Very loud. Unbelievably loud. My friends 2010 Elantra is silent compared to this car.. I hear creaking coming from the drivers side front pillar and back pillar on passengers side. I also hear a weird rattle underneath the dash that sounds like a tan can. Who knows? I've never had a new car with rattles and squeaks...?? This is a very nice, reliable, comfortable, and inexpensive car. It is quiet on the highway, and comfortable. Bullet-proof reliability. Cheap to maintain, and great on gas. Many people say the 4 speed automatic is old and outdated, but take another look. That's right, the Corolla is just about THE most fuel efficient in it's class, according to Consumer Reports. So, yes, a 5 speed auto would be bettter, but the 4 speed auto still beats just about all the other cars in this class, and it is very quiet. The engine & transmission are proven - ultra-reliable for an automatic. You get what you pay for in this great big world! This car seems to have had every corner cut possible to save money. 1rst, the paint is a joke. Easily chipped, scratched, dinged. I feel that just by looking at the car the paint begins to peel! Buy the paint protection if available, its worth it. 2nd, the car just feels cheap. From the interior controls (ie windows, door locks, mirrors, etc.) to the body panels and trunk deck; flimsy, thin, & cheap. 13k miles and already had the trunk cable break. My 99 civic with 209K miles never had the trunk cable break. Leaves me wondering what will be next. The drive train is about the only positive so far, as the motor runs smooth and the auto trans shift smoothly. But for how long is the ?? As a city resident, I test drove several cars in this category - Honda Civic, Mazda 3, Ford Focus, and Nissan Sentra. I realize the category is not a luxury or performance car. Other cars have somewhat better interior quality, but I liked the handling and comfort of the Corolla best. I do mostly highway driving or short trips in the city, but it gets great gas mileage and I think it makes good use of interior space. I still think it is a reliable car and great value. I could not be more satisfied with my Corolla. Sharp exterior looks and a decent interior. Not the highest end interior but not offensively cheap. The best part of the car has to be the excellent fuel economy. I average between 36-39MPG regularly. The the manual transmission, power is there when it is needed. Is the car a racer? No. But for good, reliable, economic transportation that you're not embarrassed to drive, the Corolla is your car. Had this as a rental for 2 weeks - looked like [violative content deleted] outside (scratched, chipped and dented all around) and inside (seat fabric worn, plastic color rubbed off everywhere) after a year - albeit with 30k miles. Even if one reckons in careless handling it did look worse than any other rental I had - including a lot older ones. Performance was ok but not more - I guess I'm spoiled by my saab turbo... Steering was unremarkable, what was a bit strange was the whole Traction Control, Anti-Skid Brake and Cruise Control unit - see below. Seats and Interior were very uncomfortable for my 6'2" - seats don't go back far enough for sufficient legroom and hard plastic on door and dash hurts legs. I had this corolla for a year and half with 18,000 miles. the worst about this car is that it hurts your lower back because the front seats are so unconfortable. I'm fit in terms of physical shape. Interiro is very boring and buttons are hard to reach. sound system is okay. engine noise is okay. The handling is little off because if I let go my steering wheel on straight road, it turns to right or left. The acceleration is slow than I anticipated but okay. I get around 30 to 31 MPG on 50/50 hwy and city. Although the meter reads 32.5 but I think it's inaccurate. I also notice a wind noice especially when driving on hwy. I wouldn't recommnad Corolla unless you want your back broken. Toyota goes cheap while others pony up! I've owned several vehicles over the past 10 years, including several Toyota trucks, but this was the first Toyota car I've purchased for myself. My sister has a 2007 (9th generation) and its fit and finish and build quality and materials are lightyears ahead of the current 10th generation. Toyota seems to have traveled back in time with the 10th generation! Not only are the interior plastics cheap and not soft-to-the-touch, they scratch VERY easily. The dash, doors, center console, and key area are scratched like crazy after 24k miles, even with due care not to scratch them! If it weren't for the poor, cheap interior quality, I would probably have liked this car a little better. OK. I am the biggest conservative driver that I know. I really keep the rpms down. I have been watching the computer and average miles per gallon. My general rural commute and riding around town so far I have averaged......... 37-38 mpgs!!!!!! I said "aw shucks" when I saw the new Elantra come out with it's 40 mpgs, but with the lifetime drivetrain warranty and 0% financing on my Corolla I still think I made right decision. I bought my 2010 basic Corolla A/T 3 months back and I must say that I am loving it. I was initially considering a Yaris, but the Corolla was just priced well enough for me to switch. I am a city driver and am getting 30mpg average. But when on freeways, staying around 55-60mph gets me over 45mpg easily. The engine gives decent acceleration and the brakes are not touchy, the standard speakers (4) are decent and the dash-board layout is straight-forward, and overall the exterior is respectable. I have had my 2010 Corolla S since July 2009. Overall, I have no major complaints. At 17K miles I have only done standard maintenance (and 2 of 3 recalls.) The steering seems fine to me, but I'm guess I'm not one to drive with me knees or one-handed. Acceleration is not special, but who expected it to be? Never had an issue passing anyone when needed, and have looked down to see I was going 80 without realizing it more then once. Exterior look is nice. Did accumulate several scratches quickly, but not sure if that was bad luck or not. Interior is OK. The S model shouldn't have the lint issue (if there is one) due to the sport fabric. The fabric does seem difficult to fully clean though. Have 14,000 trouble free miles and never, repeat never got less than 35 mpg. Im 59 and retired so I may look at things a little different , but have owned some 40 cars in my life and this one is a good one. Drove the others in its class and this was tops. They hold their value ( check out Ebay and craigs list) are reliable and easy to go 200,000 miles with. Hard to find a low mileage one for sale. If its value for your dollar this is it. I test drove the Toyaota Corolla, loved it. Not to mention the warranty is amazing. It took me 3 weeks to make a finale decision on a new vehicle. I did not go with the Corolla only because my full coverage insurance would double on this vehicle. So please before you buy call your insurance and ask for a insurance quote. That may make your decision for you. I bought a new 2011 Jeep Patriot and my insurance only went up 20.00. 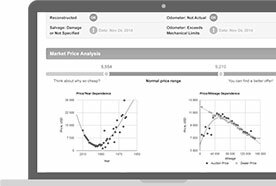 Please get a quote first! Tough decision. I think the road noise from the tires humming along is too loud. I think you can hear the traffic just as loud whether the windows are down or up. I am still getting used to the head restraints that appear in the way of my view when I try to turn around to see what is behind me when backing out. Per the monitor I get 31 MPG's! The car has enough pickup and go for my wife and I. We paid under $16K out the door. back up. I purchased my S in Aug. 2008 and put 25,250 trouble free miles never went back to the dealer except for the recalls which I felt was nothing wrong with the car except for those who want to complain about Toyota I have owned Toyota's since 1973 haven't had a bad one yet. I just three weeks ago traded my S for a 2010 XRS because I wanted a few more options and got one of the last ones in my area same color black I also love this car I am now retired and milage is not I problem so those who love Hondas and Mazdas go buyone and have your troubles with them. I had a honda civic since 2006 and I figured I would try something new. In Sept I purchased a Corolla LE.. The car seems ok but the material for the seats is horrible. It is a gray material and it picks up lint. I mean it is really bad. The car is two months old and the seats are filled with tiny pieces of lint. I called Toyota and they said that is the first that they have heard of it. I am very frustrated. I can't remove it with a lint roller. I have to pick each piece individually. WOW!!! all those things I heard about Toyota are true.... bummer!!! !